We've busy adding items to our shop! Like this bold new necklace with matching earrings. 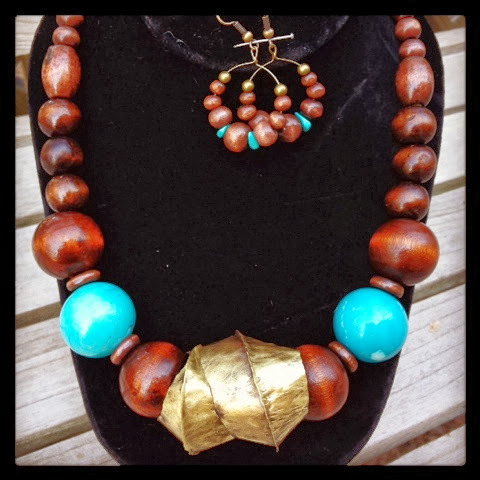 Featuring a large fold-formed brass focal, turquoise colored howlite, and rich stained wooden beads.